They include one of the biggest sporting events in Britain since the London 2012 Olympics, incorporating the World Para Athletics Championships in July, and the IAAF World Championships London 2017 in August. In the lead up to these events, Müller will also be the title partner for the Müller Anniversary Games on 9 July, the Müller Indoor Grand Prix in Birmingham on February 18, and will round off a spectacular year at the Müller Grand Prix in Birmingham on August 20. 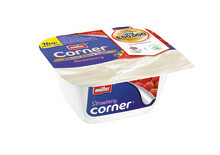 The investment by the dairy ingredients and chilled yogurt & desserts business will not only see them become Official Supporter of the British Athletics team, but will ensure that Müller meets its promise to bring new excitement to the dairy category in the coming year, inspiring customers and consumers alike. 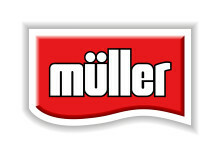 With some of the biggest names in sport, including Mo Farah due to compete in the events, the partnerships allow Müller to bring even more inspiration to its packaging, point of purchase, and create an enjoyable shopping experience in the dairy aisles. Consumers will have the chance to win tickets or prizes via an on pack promotion and Müller will also be launching bespoke limited editions, such as a British Athletics Limited Edition Müller Corner, with a range of classic British flavours, to engage consumers and build excitement. 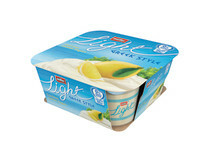 The partnerships mean Müller will have certain marketing rights for the events across their brands, including Müller Corner, Müllerlight, Müller Rice and Frijj. “We aim to be the biggest and the best with our new sporting partnerships and to build on the success of our work with Team GB and The Müller Anniversary Games this year. 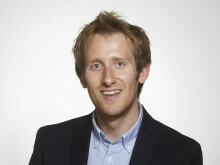 “London 2012 was an exceptional event with iconic images beamed throughout the world. London in the summer of 2017 will again be a huge part of the global sporting year, bringing focus to Britain and its fantastic athletes, and we’re delighted to be a part of it. “By activating major promotional partnerships, our goal is to bring more inspiration to the dairy category by working with our customers to leverage the excitement of the events next year. We expect to use these partnerships to create a more enjoyable shopping experience for our customers and great point of purchase activity around the UK. “It is very exciting to have one of Britain’s top ten food brands such as Müller throw their support behind London 2017 Ltd and join us at such an exciting time as we prepare to bring together the biggest international stars of track and field back to the iconic stadium. The London 2017 Organising Committee is delivering the IAAF World Championships London 2017 and the World ParaAthletics Championships on behalf of UK Athletics, the Greater London Authority and UK Sport, supported by Department for Culture Media and Sport, after both events were awarded to London in 2011 and 2012. London 2017 will be the biggest event to be staged in the Olympic Stadium since the Olympic and Paralympic Games – with over 3000 athletes from over 200 nations competing over 20 days of action. From the 13th-21st of August, Müller will be encouraging sports fans to get #inTeamGBsCorner with a series of activities at official Olympic FanZones in London and Manchester - the only place to watch all the action from the Olympic Games! 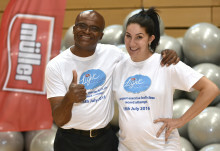 Müllerlight, Great British Public and Team GB Olympians break Guinness World Record! Olympians Usain Bolt, Jessica Ennis-Hill and Mo Farah to Go for Gold at Müller Anniversary Games! ​A host of reigning Olympic and World medallists will appear at Queen Elizabeth Olympic Park in London on 22-23 July, just two weeks before the Rio 2016 Olympic Games, as they compete in the Müller Anniversary Games. Müller Rice has partnered with British Triathlon and European Games gold medallist and Olympic hopeful Gordon Benson to help Team GB Triathletes go the distance in the lead up to the Rio 2016 Olympic and Paralympic Games, and beyond. 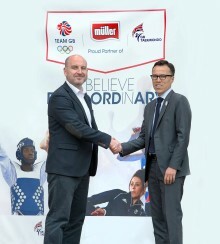 Müller and GB Taekwondo are pleased to announce a partnership that will see Britain’s leading yogurt and chilled dairy pudding manufacturer Müller Yogurt & Desserts support team preparations for the Rio 2016 Olympic Games. 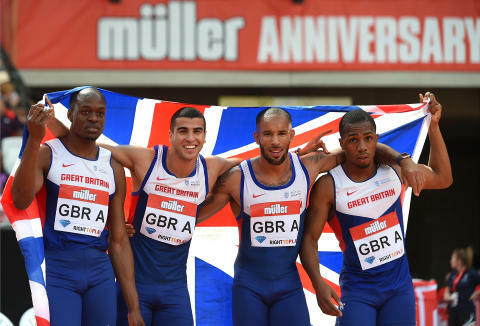 Britain’s leading yogurt and chilled desserts manufacturer Müller Yogurt & Desserts has signed a deal to become a new major events partner with British Athletics for the summer of 2016.